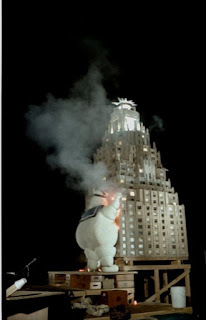 Here's a great behind the scenes shot of the Stay Puft Marshmallow Man from "Ghostbusters". 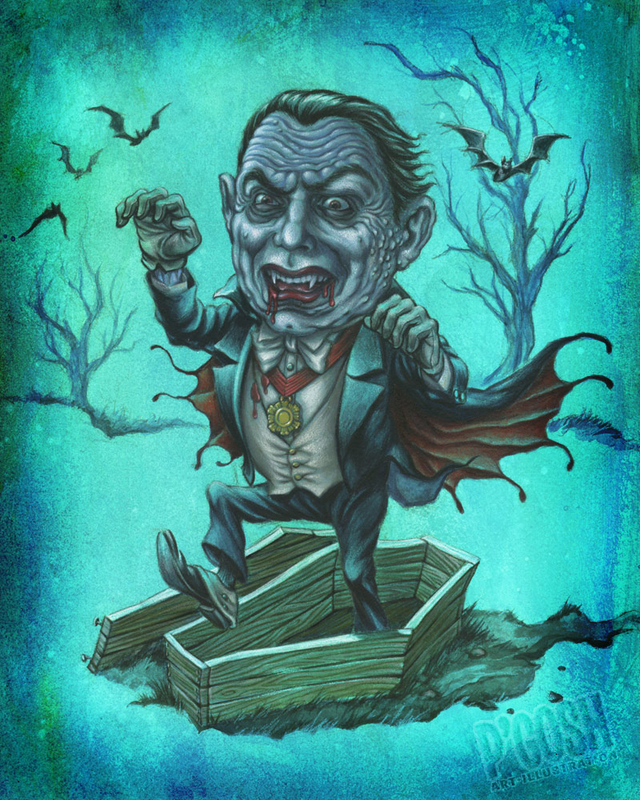 Icons of Horror Battle It Out! 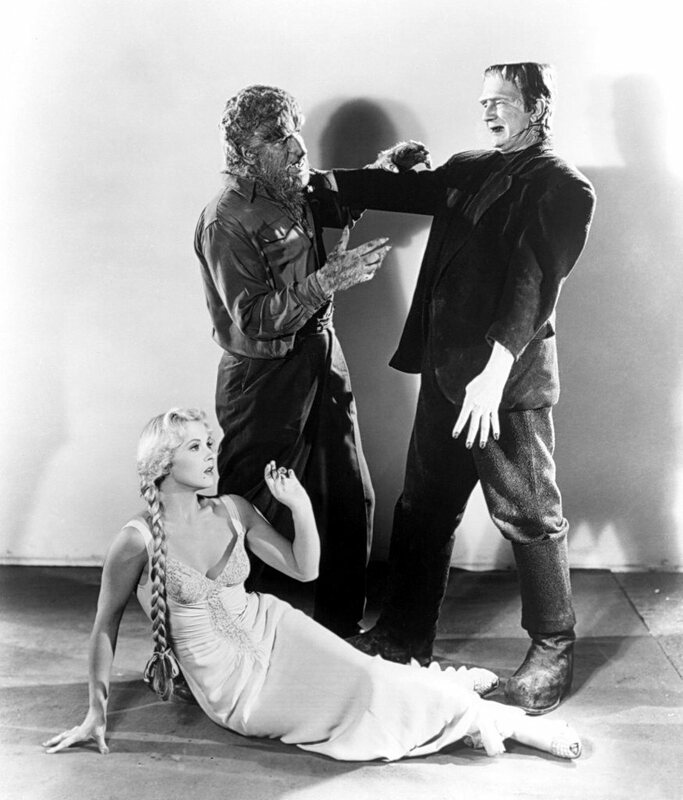 This is such a great publicity still from one of my favorite films "Frankenstein Meets the Wolf Man". 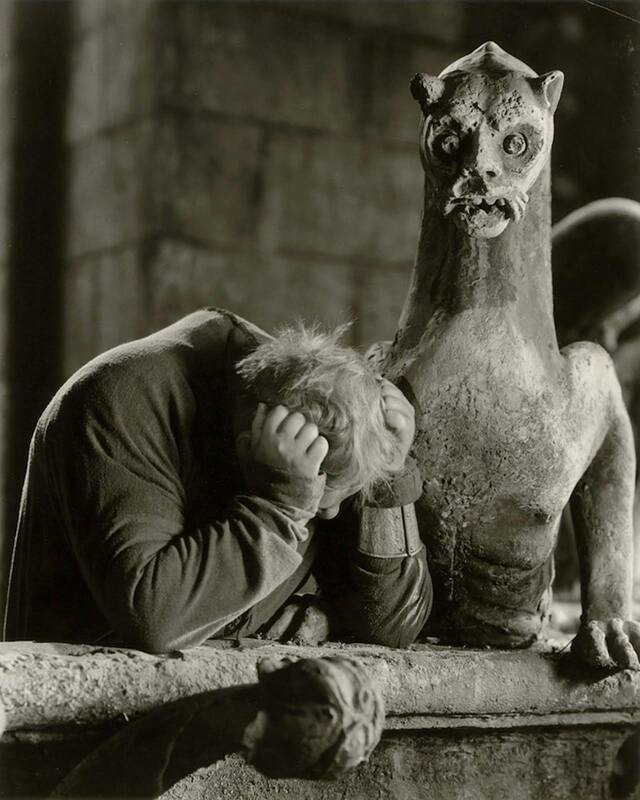 From the 1939 version of "The Hunchback of Notre Dame". 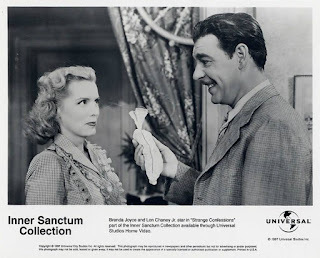 "Strange Confessions" from Universal's series of Inner Sanctum films. 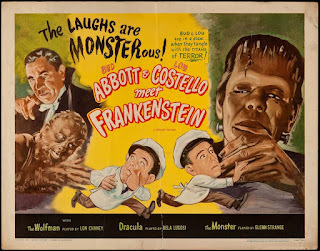 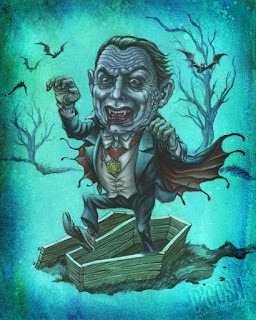 Monster Art: Dracula Rises From His Coffin! Here's a great piece by Doug P'Gosh! 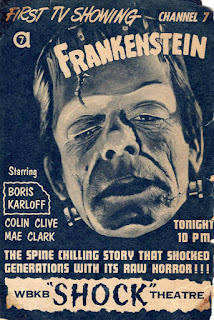 Frankenstein meets the Wolf Man in "Frankenstein Meets the Wolf Man". 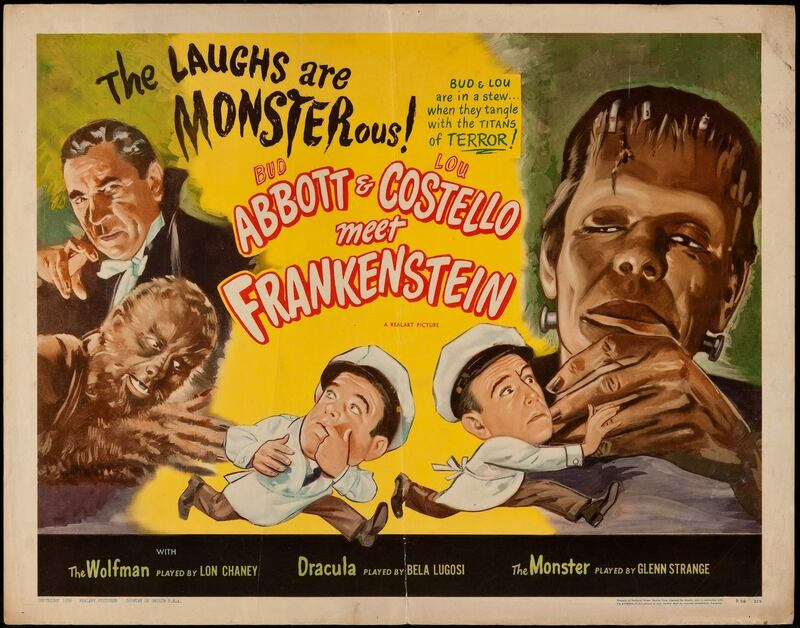 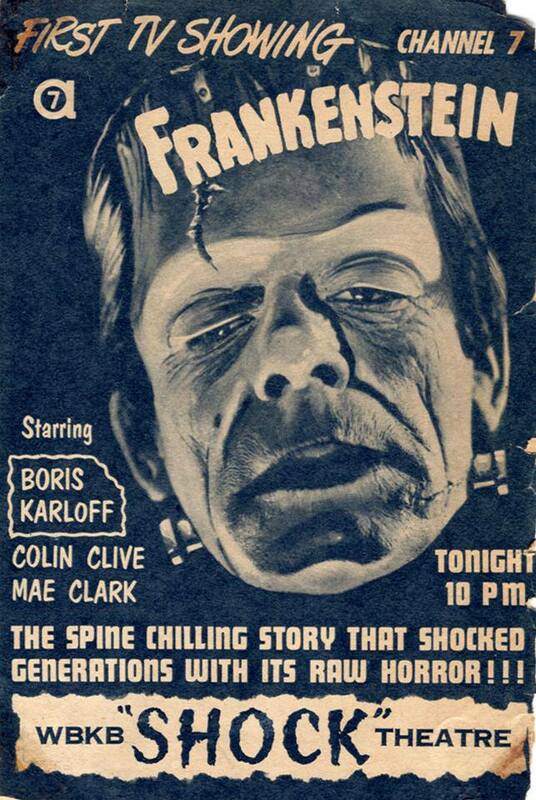 Here's a great ad for the Shock Theatre package which was when Monster Movies were first shown on television. The Monster and Talbot have an intimate moment in a deleted scene from "Frankenstein Meets the Wolf Man". Yes, it's Lon Chaney from the lost film: "London After Midnight"! 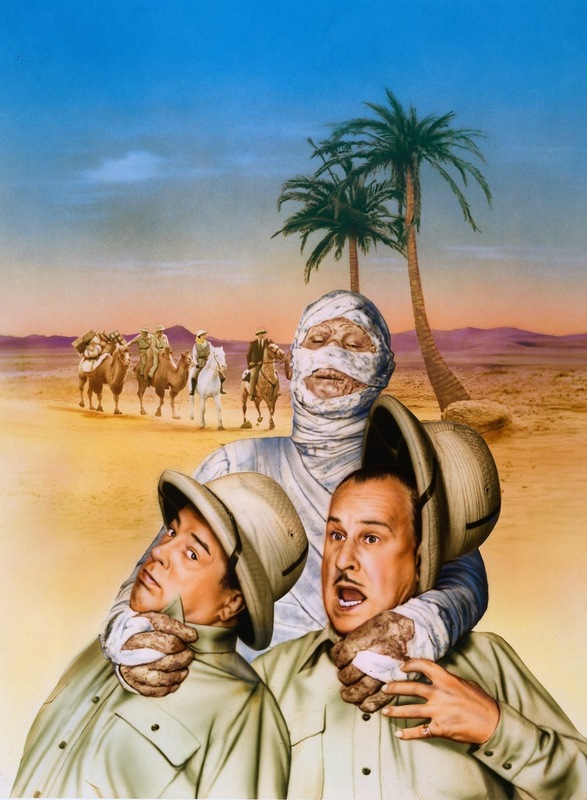 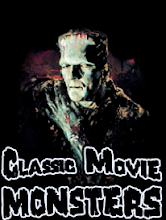 I love the VHS art of Universal Monster Movies from the 1990s. 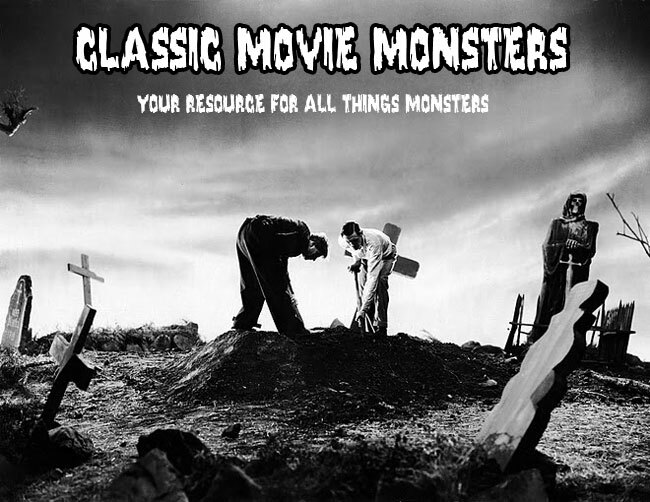 There's something really special about it. 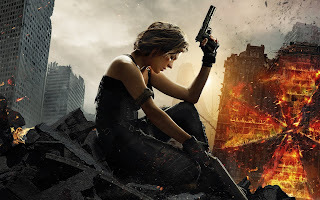 Not my favorite series of movies, but it's always fun to watch Milla Jovovich fight monsters! No, he's not ice skating! 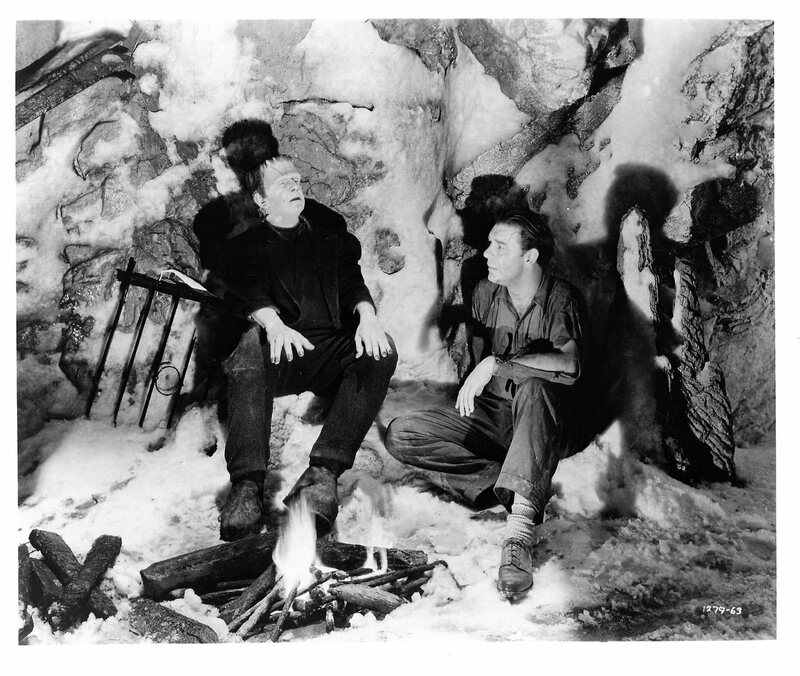 Larry Talbot finds the Monster entombed in ice. 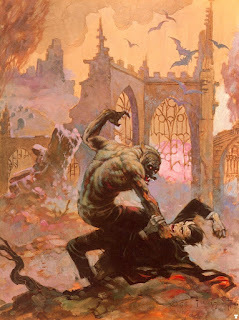 By the incredible Frank Frazetta.